New York based singer Nina Yasmineh is busy pumping out new, high “energy” tunes. Just weeks after releasing the twinkling synth pop melody of “Killing Time”, she’s wasted no time when it comes to the electric new single “Energy”. A little on the heavier side then her usual sound this track ripples over the edge with pumping rhythms and guitar riffs that captivate and hold your attention until they fade. All while still perfectly displaying her strong vocal chops in this new light. With all this new material we can only hope there’s an upcoming collection coming from this charasmatic singer-songwriter. Until we know for sure check out “Energy” below. 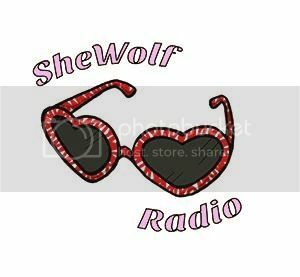 Posted on March 29, 2016 March 29, 2016 by shewolfradioTagged alternative pop, energy, killing time, New Music, new york, nina yasmineh, shewolf radio, synth pop, synth rock.